First off, I have been busy. I felt I owed it to this blog to work hard so that I would have something to talk about when I got back from my break. Something unfortunate has happened to me recently. I don’t want to talk about this too much as I want to keep this blog as a positive environment but somebody that I liked (an acquaintance rather than a friend) said something really insensitive about my mental health and it has caused quite an important change to occur in my life. A positive change. I got upset but then I realised, somebody who has no problem saying something hurtful for no reason, is not worth getting upset over. I am now feeling uplifted and determined to be the best version of me. Gone are the days where I would hide who I really was just to make other people happy. I realised that I will have critics no matter what I do. I made a new set of goals for this year (which I will talk about in tomorrow’s blog). Today I’ve been focusing on drawing. I’m such a perfectionist so all my efforts to draw and make art, have always ended with me giving up. Not this time. 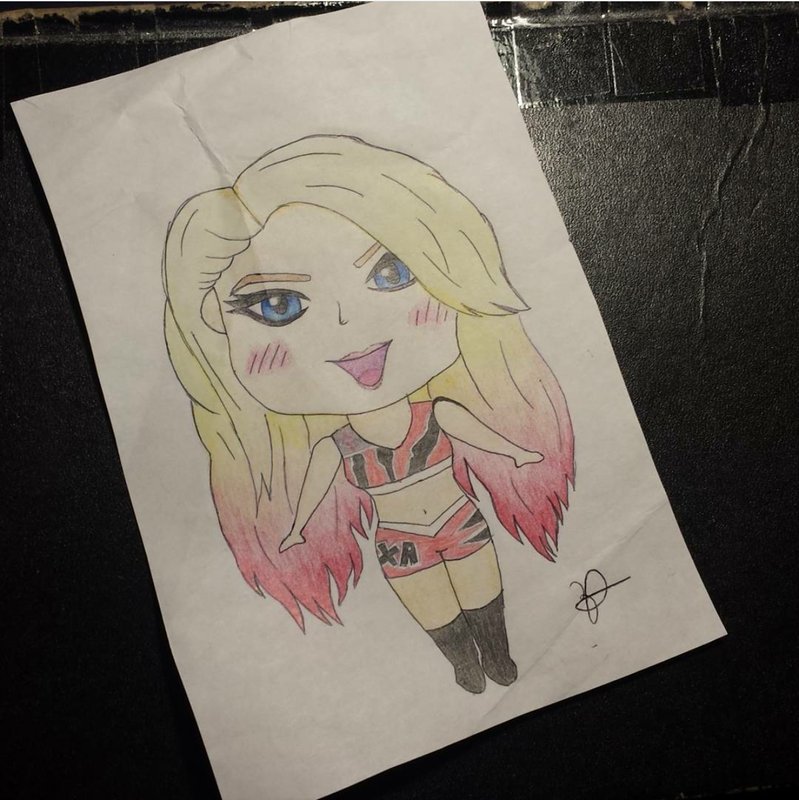 This time, I picked up my pencil, I picked up a piece of scrap paper and designed my very own chibi style. I did myself proud. I believed in myself and it paid off. Way more art will be coming in the future. Keep an eye on instagram. Most importantly of all, do not ever let somebody knock you down. Rise above them even stronger than you were before. QOTD: What is your favourite art medium (if you don’t create art, what is your favourite to view)? AOTD: I think my favourite is regular graphite pencil. It is so simple, yet so amazing what you could do with one pencil. I also like coloured pencil. Here we go again with the rushing around, desperately trying to find the right gift for our loved ones. It is as much exciting as it is terrifying! This year, I vow to get it done early so everything is ready. So, the colours I chose are orange and yellow because they are bright and inspire happiness. I started to crochet but realised that the yarn is too thin for what I pictured in my head, and the colours didn’t work the way I wanted them to – orange was too dark, yellow too bright. Then a light bulb flicked on above my head like some kind of eureka moment – crochet them together, and it created something magical. Unfortunately, these pictures don’t do it any justice but you can still see the amazing marble affect it has. It is so soft and warm already and I’ve only just started. I hope it turns out well and most of all, I hope I get it done before Christmas because I am really bad at finishing things I’ve started. QOTD: What is on your Christmas wishlist? AOTD: I think the thing I need the most is fluffy socks. You can never have too many fluffy socks, especially in weather like this. Okay, so the brightness in the images didn’t come out how I’d hoped (or how they looked on the camera) but I think you can still see it. There is a load of space. There is a great big pocket on the side which can fit some tablets (but not mine, unfortunately). It is A5 size so you don’t have to find a really awkward sized paper for your spreads, you could even just cut an A4 page in half, which I did. It closes and zips up. My favourite thing about it because everything stays safe. Also good if you have a piece of paper that you want protected but don’t want to connect to the binder. You can just place it in there and it will be fine. It is faux leather so it is vegan friendly! There are a few negatives for those positives. But that’s mostly the fact that it is plain black and a bit boring. But there are so many ways you can decorate it. For example, I am going to decorate mine with stickers. I just haven’t gotten around to it yet. What is your favourite personal organiser / personal planner?